Rewind to 1950s Lowell and you’ll find a flickering marquee along just about every cobblestoned corner. The Strand, The Rialto, The Crown, The Royal, Capitol, RKO Keith’s, The State and The Palace. All offering the allure of slipping into darkness, surrendering to imagination and forgetting life’s troubles for a couple of hours. 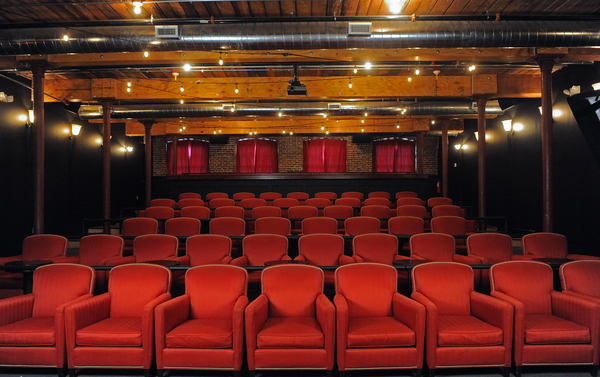 Small cinemas opened windows to new worlds and this month, the grand opening of The Luna Theater will revive a little of that old movie house magic in Mill City. A comfy hideout within Mill No. 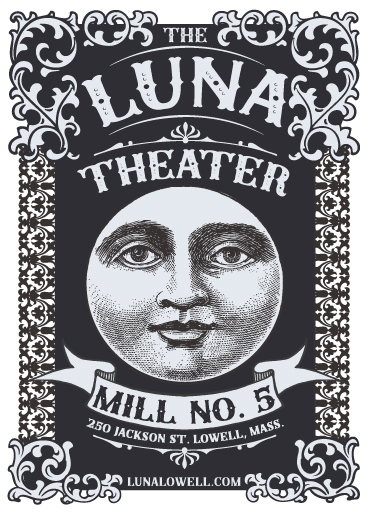 5 — Lowell’s up and coming center for dining, shopping and entertainment — the jewel box-size Luna will seat around 80 and showcase a lineup of indie and classic films, theater productions, live music and more. As a kid, Lichoulas spent hours losing himself in Lowell mills. His family owned the Appleton Mill complex, a total of six mills running along downtown’s Jackson and Middlesex corridor. The Appleton Mill was the location of the city’s first factory turbine installed in 1844. The new machinery was a major leap in technology from the water wheel system, increasing production speeds and propel- ling Lowell to the largest industrial center in America by 1850, when Mill City was producing around 50,000 miles of cloth a year. By the time Lichoulas’ family took over the mills more than a century later, Lowell’s industry had changed drastically. The once booming factories had become empty and deteriorating relics. In the early 1980s, Lichoulas was 12-years-old and cleaning out an Appleton Mills water wheel for a local documentary about the history of Lowell’s industrial revolution. His family wanted to convert the empty mill space into apartments but at the time, the city had reserved the mill space for jobs. So the buildings sat empty, waiting for new industry that did not come. More factories throughout Lowell and New England closed doors and big malls and shopping centers were the swan song of local department stores. At the same time, Lichoulas was graduating from college with a degree in architecture and business. In his 30s, he delved into real estate and was reintroduced to Lowell with the opportunity of turning the Cotton House Loft apartments on Jackson Street, next door to Mill 5, into a thriving residential space. Taking note of the city’s many positives — including an influx of artists and young professionals, the rapid expansion of UMass Lowell, the organic growth of larger art collaboratives like Western Avenue Studios that houses more than 200 artists, The Gates Block Studios that opened in 2013, the newer Zeitgeist Gallery and UnchARTed Studios, and unique historic attractions like the National Park tours, Whistler House Museum, Textile Museum and Kerouac Park — Lichoulas wanted to use the marvelous space at Mill 5 for something unique that Lowell hasn’t seen before. Something, he said, that would have the power to draw more people into the city. Entering Mill 5 is like entering a new world, where visitors step into an indoor streetscape that’s part Dickensian, part Diagon Alley. A massive reuse project, the main street lined with antique building facades and quirky decor is also becoming a model example for architects across the country thanks to national write-ups in publications like The Atlantic. Curved storefronts, stained glass, intricately carved archways and rustic beams are inspired by streetscapes in Germany, England and France. The building pieces have been patched together from a variety of places, rescued from salvage yards, pulled from antique markets and purchased from auctions. Besides relics from stately homes, churches and storefronts across New England, you’ll find the doors from the childhood home of Theodore Seuss Geisel, a.k.a. Dr. Suess, thatwere procured before the Springfield house was leveled to put up a parking lot. The indoor streetscape, still under construction, is currently home to art studios and indie retailers including the Vinyl Destination record shop, Tone Loft vintage instruments, ARTsylum and Botanie; creative start-up companies like video game programmersUnity Technologies, Corn and Co., which, earlier this year, became the official popcorn supplier to the Boston Red Sox, as well as event planners Style This Shindig, massage therapist Derek SooHoo, custom T-shirt printing by Modularman, Pizzuti Photography, and the nonprofit One 27 Global. More businesses are opening soon including yoga at Sutra Studio, and the Coffee and Cotton café. Anchoring them all is the Luna Theater. “It’s a combination of things that fit into an image of nostalgic Lowell,” Lichoulas said. Mill No. 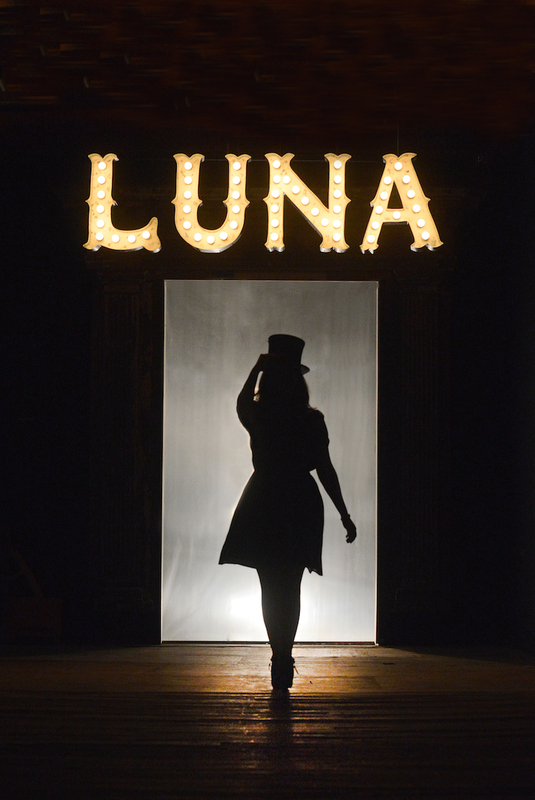 5, Lichoulas said, also gets its spark from the many talented people who have contributed to the vision along the way including The Luna Theater director, Amelia Tucker. Tucker, an artist who moved from Boston to Lowell a year ago with her musician husband, Michael Tucker, soon found her way to the Vinyl Destination record shop, and immediately saw the mill’s potential for hosting a marketplace. Since last December, Tucker has been organizing marketplaces on the first Saturday of each month that draw dozens of vendors selling quality retro wares, clothes, jewelry, original artwork, furniture, toys and more. Styled after retro art houses, the stately columns at the theater’s entrance came from a former Newport Rhode Island mansion, and the vintage concession stand inside the lobby was hauled up from Pennsylvania Dutch Country. 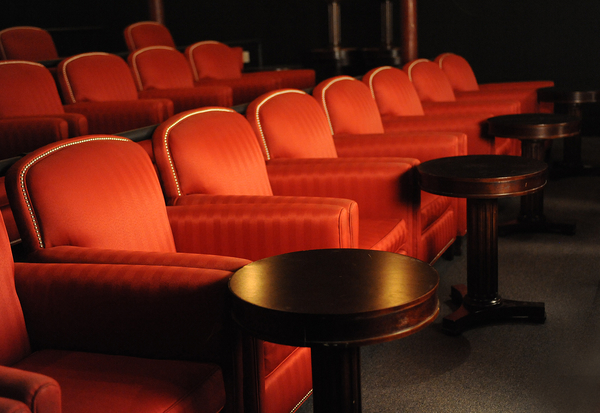 In the theater’s main room, guests cansettle into overstuffed red lounge chairs or nab one of the seats at the bar area in the back row — a perfect place to spread out snacks and hang with friends. Not your typical mall multiplex, The Luna will be a crossroads between cinema and other art forms like live music and theater. Expect classics (The Big Lebowski Sept. 6 and Moon- rise Kingdom Sept. 20), to recent and first-run indie films like Obvious Child, Snowpiercer and Only Lovers Left Alive, all showing this month. All shows, adds Tucker, will be under $10. Another bonus, said Lichoulas, is that the neighborhood theater will fill a void for a population in the city that has little to no entertainment options after dark.